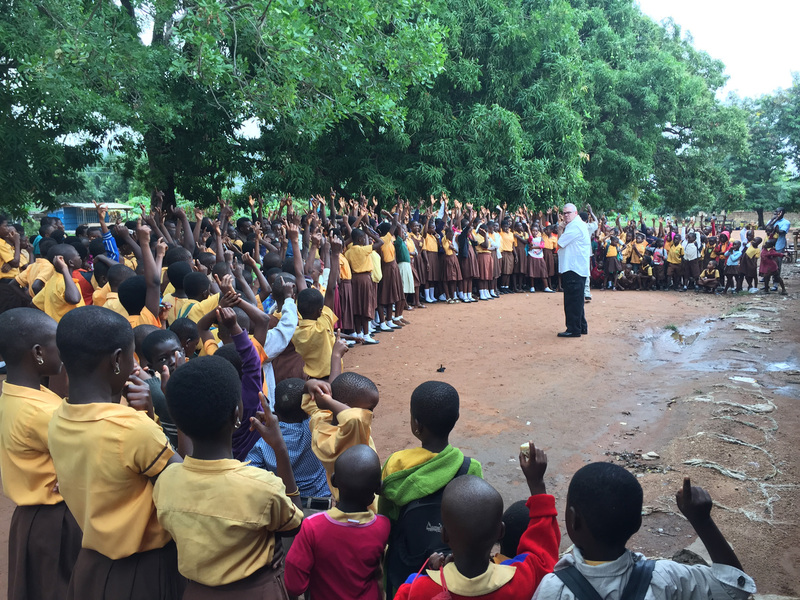 [Monday, 21 September 2015 –Asuom, Ghana] — The weekend is behind us and through six separate ministry venues we have been able to share the gospel of Jesus Christ with combined crowds of 2,550 individuals. Today all the schools are on holiday and thus prevent us from beginning our work on school campuses. By God’s grace we will be conducting four cinema crusades tonight and start in the schools on Tuesday. Although this was a surprise I am reminded that … some things never change. Everyone continues to do well and is working without complaint. I had a long meeting with national director, Pastor Sammy Lartey today and he told us that he was working to coordinate combining all of today’s planned schools into the schedule for the balance of the week. Please pray for God’s guidance in this process. Although it was frustrating … some things never change. The only noticeable glitch in the ministry thus far has been with the breaking of a universal joint in one of our Land Rovers on Sunday night. We were able to get the team members back to the compound and make contact with a friend in Accra (5 hours away) who is coming today to make the repairs. It continues to amaze us how God protects us and provide for us. Continue to praise God with us for His incredible mercy and grace. I am thankful that … some things never change.